The Cleveland Browns will have a new starter at quarterback this week in rookie Baker Mayfield. There will also be another change on the depth chart with Drew Stanton expected to be the backup to Mayfield, this year's No. 1 overall draft pick. 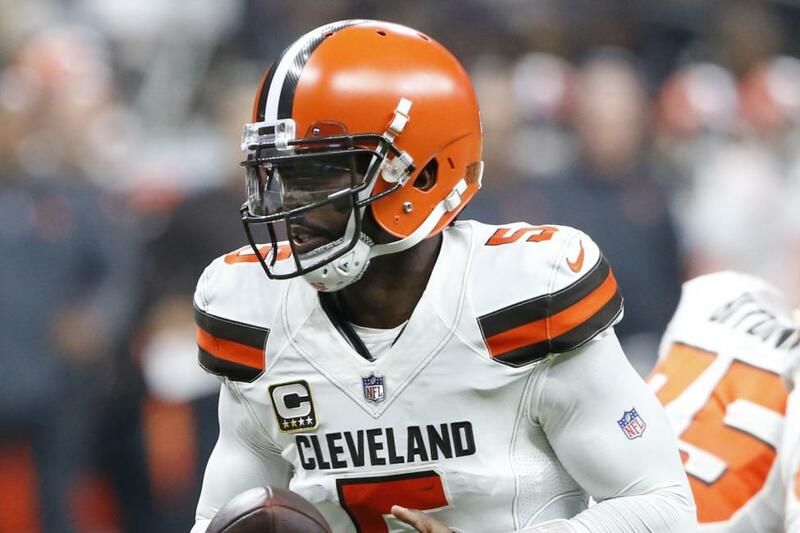 Tyrod Taylor, who started the first three games but suffered a concussion in a victory over the New York Jets on Sept. 20, also is dealing with a back injury, according to Cleveland.com. Browns head coach Hue Jackson on Monday officially named Mayfield as the starter for Sunday's matchup against the winless Oakland Raiders. Mayfield relieved an injured Taylor and helped Cleveland erase a 14-point deficit in a 21-17 victory over the Jets in Week 3. The win was the first for the Browns (1-1-1) since they defeated the then-San Diego Chargers on Dec. 24, 2016. Taylor will accompany the team to the West Coast but he was limited again in practice on Friday. Stanton has taken all the reps at backup this week, Cleveland.com reported. Stanton, a second-round draft pick of the Detroit Lions in 2007, has made 17 career starts and posted an 11-6 record, including a 3-1 mark last season with the Arizona Cardinals.